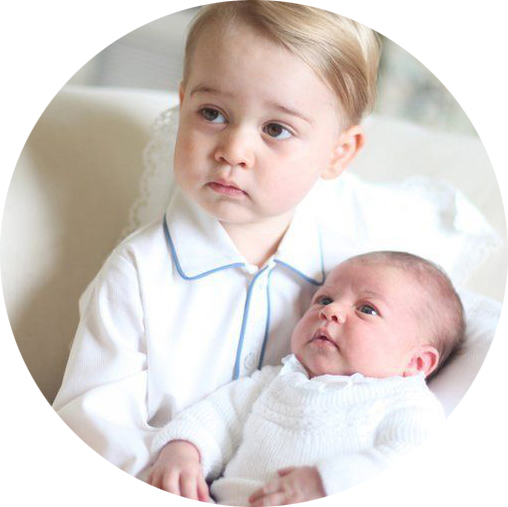 Two month old Princess Charlotte looked absolutely adorable in the Honiton lace and white satin gown, becoming the seventh royal baby to be christened in it. It is a replica of the christening gown made for Queen Victoria's eldest daughter, Victoria, in 1841. 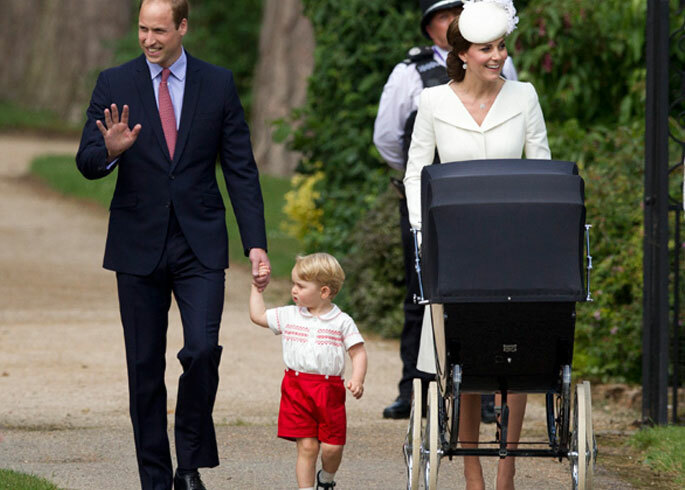 The original was used at every royal christening from 1841 to 2004, and the new gown was first used at the christening of James, Viscount Severn in 2008. 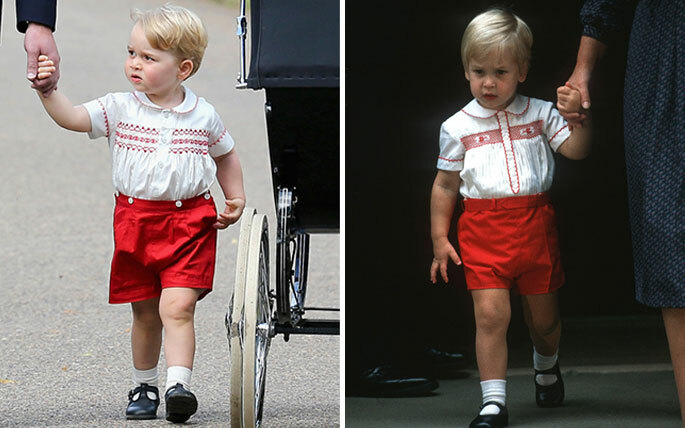 Prince George was seen in a red and white smock designed by Rachel Riley - an outfit very similar to the one worn by his father when he first visited Prince Harry in hospital after he was born. Finished with navy blue shoes by Early Days and white socks, the little Prince looked seriously sweet!